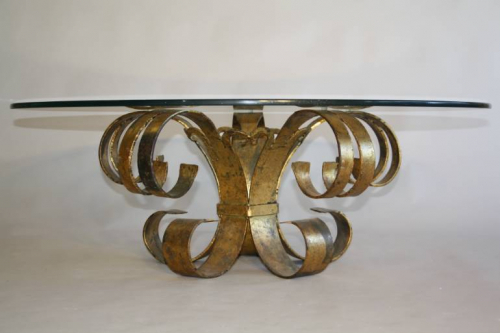 A hand crafted gilt metal scroll base with thick glass top. An elegant and unusual table. Spanish c1960.